This stacked cuff is made up of three separate bands connected at the back. The twisted band features a pretty navy blue kyanite and grey freshwater pearl set in sterling silver. 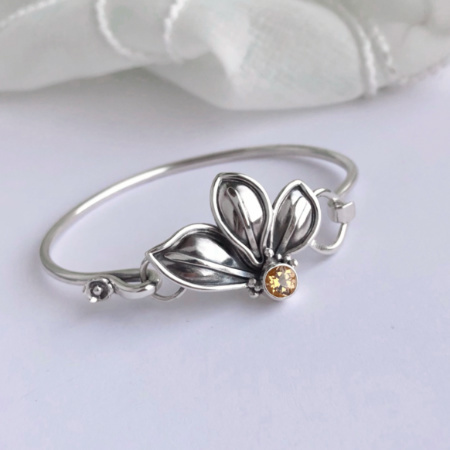 The stamped band features a sterling silver flower for contrast, and the third band (middle) is a plain band of silver. This cuff offers movement and is so fun to wear! This cuff will fit an average sized wrist.